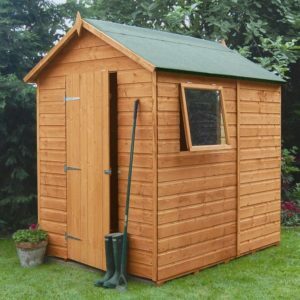 Firstly, this shed’s sides are clad with 19mm tongue and groove cladding. 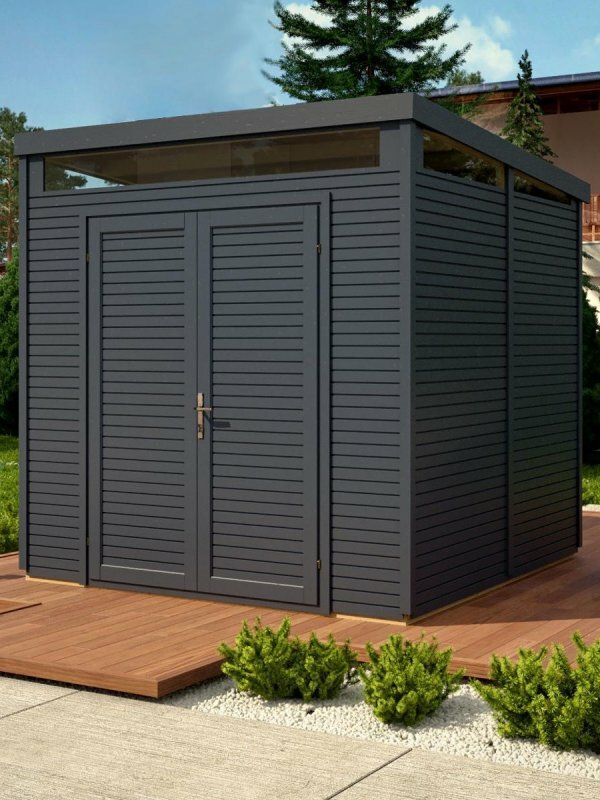 These cladding boards are planed and clad horizontally on the walls and on the double doors. 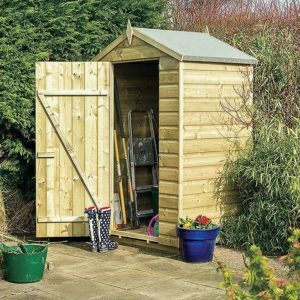 The double doors are lockable and provided with lock and key. The security shed features plexiglass glazing and the windows are positioned at the top of the building. 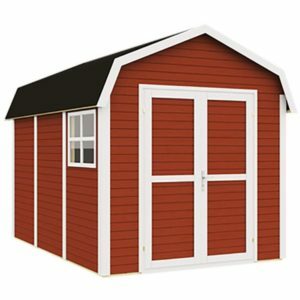 Constructed with a 12mm solid board roof. 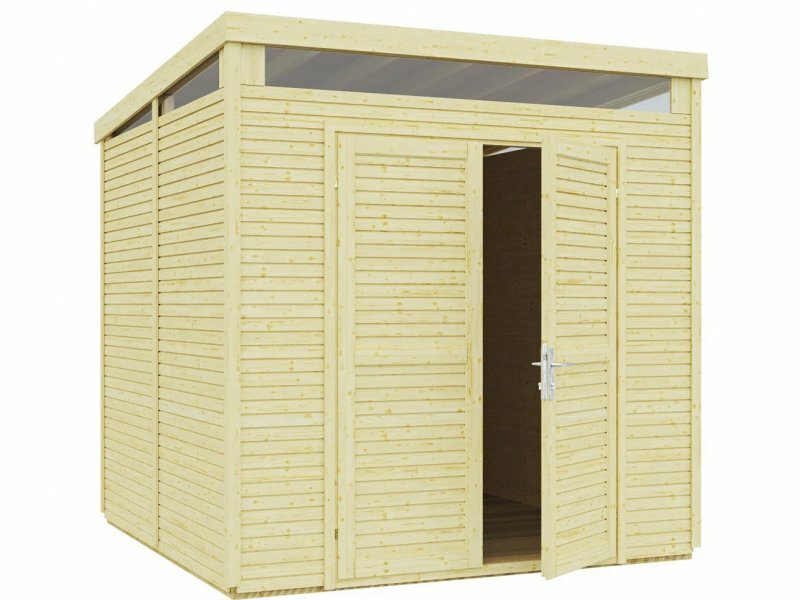 Because the Natural finish shed is supplied untreated it is necessary to paint this shed with a quality timber preservative or paint within 14 days of being assembled. The building should then be retreated every 2 years. 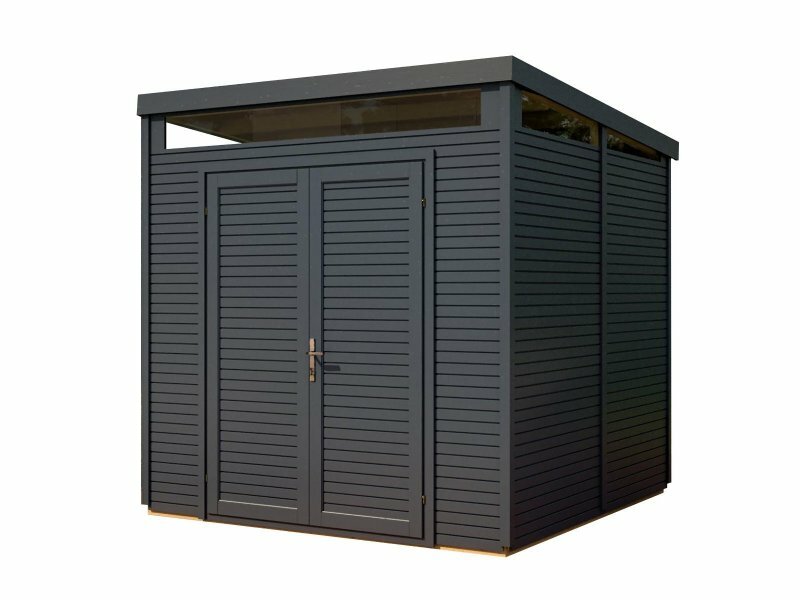 If you purchase the Anthracite version then the building should require no further treatment for two years. 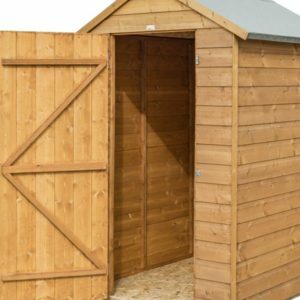 Above all it is vitally important that this timber building is placed on pressure treated bearers to ensure the shed’s timbers are not in ground contact. More details are in the enclosed assembly instructions. Finally the building is supplied with mineral felt for the pent style roof. 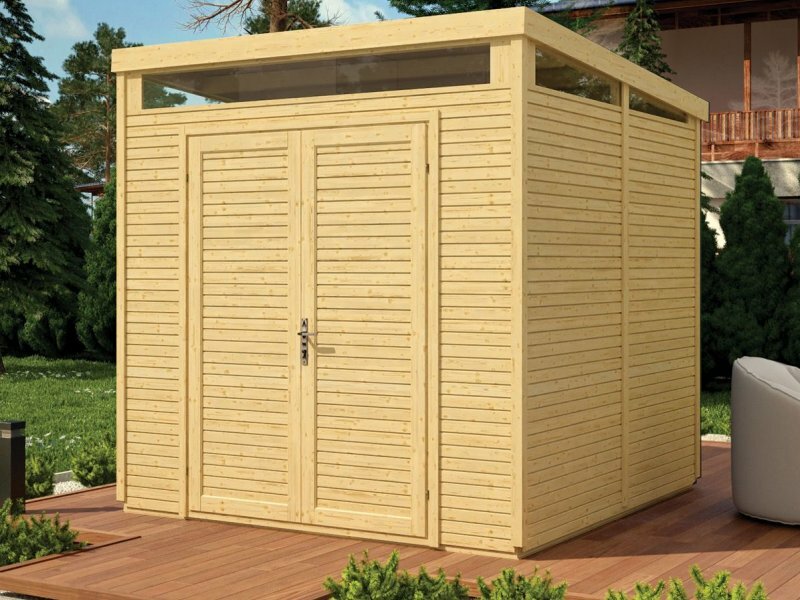 All Rowlinsons garden buildings are delivered to kerbside and in flat pack format for customer assembly. Therefore each product is supplied with Assembly Instructions. They can also be downloadable from this page in PDF format.